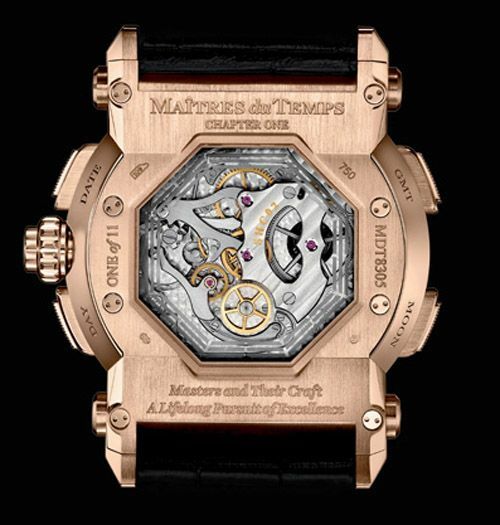 This morning, I went to Ma?É¬Ætres du Temps to check-out and see their Chapter One Round timepiece. This master piece has been created by Peter Speake-Marin and Christophe Claret. I also have a lot of respect for Steven Holtzman, who has been working very hard to combine the efforts of the best master watch makers into these incredible Ma?É¬Ætres du Temps time pieces. 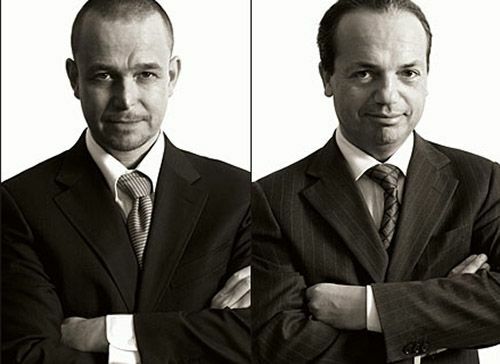 Photo courtesy of Ma?É¬Ætres du Temps, on the left is Peter Speake-Marin and on the right is Christophe Claret. Below two pictures that I just took an hour ago of the new Chapter One Round. It is an amazing timepiece and the round shape combined with the straight long lugs (with the rolling bars) makes it having a very interesting design. 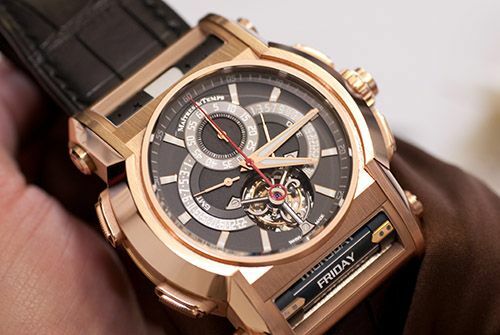 Complications featured in this timepiece are a tourbillon with mono-pusher column wheel chronograph, retrograde date, and retrograde GMT, as well as moon phase and day of the week on their own rolling bars. Having all these complications combined in one movement that consists of 558 parts, without losing its elegance or timeless design is just stunning. This timepiece also has an impressive size and weight, dimensions are 62 mm x 59 mm x 22 mm which is absolutely necessary to house all functionality. The case alone has been assembled using 96 components. My personal favorite (optical) detail about this watch are the rolling bars. These have been created using anodized anticorodal finished aluminum inside a matte anodized cover with laser-pierced moon and stars. This matte cover gives the watch a very modern edge in my opinion. Movement caliber SHC-02 (as you can see above) surrounded by four correctors for Moon, GMT, Day and Date functionality. The amount of details in this watch, on both sides of it, would want me to take it off all the time, just to have another glance at it and discover new things about this timepiece. That is when I would own one of them of course. 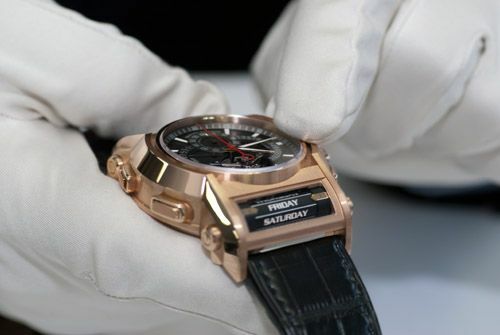 Only 11 will be made at a price tag of 495.000 USD (each). If you haven’t done so, make sure to check out their website at www.maitresdutemps.com to learn more about the brand, the master watchmakers involved and the collection of timepieces.